For many Americans, shopping is a way to release endorphins after a long, hard day at work. But let’s face it, the “shopper’s high” can be addictive — and it’s an addiction that’s easy to justify. You work hard earning your money, so it’s perfectly okay to treat yourself and splurge, right? While the occasional purchase is just fine, and we obviously need to shop for the essentials, most of us have way too much stuff. Aside from the financial strain, going overboard has other consequences. According to the Los Angeles Times, the average American home contains 300,000 items. All of those items do more than collect dust. Health professionals have found a connection between clutter and stress — and we know that stress is detrimental to our health. So, how can you unclutter your home and get your shopping habit under control? The following are a few suggestions. 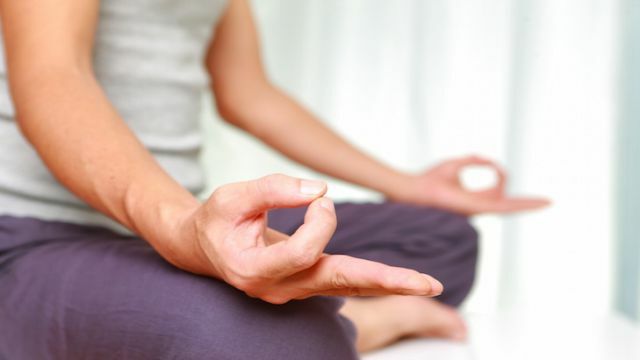 When beginning any new action plan, meditation can be a huge help. Find ten minutes in your busy day to sit quietly in your home, in your most-used room (or rooms). Sit comfortably, breathe deeply and clear your mind. Following your practice, assess your home. How does it feel? How does it look? Does the presence of the items around you cause you anxiety? Are there certain items that stress you out more than others? Do you really need everything that is piled on that rocking chair or on that counter? Do you spend way too much time each week cleaning all of your stuff — time that could be better spent living? Grab a box, and take a trek through each room of your house. Box up all of the things you do not need, or do not want. If you feel an attachment to an item, ask yourself if it’s because you really like an item, or because of a compulsive inclination to hold on to clutter. If it’s the latter, take a deep breath, and make the decision to let it go. Don’t forget closets, dresser drawers and storage areas. If you’ve been holding on to an outfit, for example, and haven’t worn it in over a year, it’s probably time to free up the space. If you have children, go through their clothes and toys with them, and explain that sometimes our items need to move on to new homes. Making kids a part of the decluttering process can help teach them good habits for adulthood. If your boxes end up brimming with things that are in good condition, but are no longer needed, perhaps you have friends that would enjoy them. Ask around! The old saying, “One man’s trash is another man’s treasure,” holds true today. If you don’t have anyone to give your items to, or if your friends have passed on the offer, a great option is to donate your stuff to a secondhand store or charity. Plenty of families could benefit from your items, and it feels great to give to someone in need. Another option is to have a yard sale. Your neighbors will go home with some goodies, and you’ll have a bit of extra money to show for it. Once you’ve cleared your home of clutter, give your space a deep clean and organize the items that are left. There will likely be a lot more space, and you can make your rooms look entirely different! Think of it as a new start. If you’ve still got quite a bit of stuff, consider getting some space-saving shelves or treasure chests to keep your items organized. This way, your stuff will be safe and out of the way, and it won’t clutter up your living area. When organizing, it may be beneficial to consider the ancient art of feng shui — following its principles can do wonders for the feel of your home. Meditate again — feel the difference? Time to meditate again! Find a comfortable spot at a quiet time, and get to know the feeling of your reinvented home. Does it feel more spacious? Do you feel less stressed and anxious? Is it easier to relax in your new living space? Now that you’ve cleared out the clutter, it’s important to make sure that stuff does not pile up again! The most effective way to break any addiction is to replace the activity in question with a healthy activity that you enjoy. Is there a club you have always wanted to join? Alternatively, when you feel the urge to shop, try going for coffee with friends instead, or enjoy some extra playtime with the kids. Or, you could just use that time to get some exercise! When you do go shopping, avoid impulse purchases. Have a list of what you need, and stick to it. Of course, sometimes you might see something you like that would go perfectly in your home. In these cases, it’s okay to go for it, but take your time to decide. Before you buy, ask yourself how often you will use the item, and if the item is personally meaningful. If possible, walk away for a few minutes and do something else. If you’re acting on impulse, the desire to buy the item should fade quickly. Above all, be mindful of what you buy, and how much you are cramming into your home. Do any of us really need 300,000 items? Hey Buddy!, I found this information for you: "How Meditation Can Help Stop Shopping Insanity". Here is the website link: https://www.thealternativedaily.com/how-meditation-can-help-stop-shopping-insanity/. Thank you.